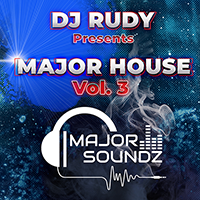 Download for free or stream online DJ Rudy's latest House Mix. A mixture of Deep, Afro, Basshouse, Moombahton and the latest GQOM tracks. This mix features songs from the following Artists: Samantha James, Niniola, Prince Kaybee, Lady Zamar, Black Motion Ft Nokwazi, Kyle Watson, Tiesto, Del 30, Masters At Work, Bizizi Ft DJ Cleo, DJ Vitoto, Dladla Mshunqisi Ft Distruction Boyz and DJ Tira plus Many More.